In this Listening Project conversation Erling Husvik talks about what it was like growing up in Petersburg in the 1920’s. He describes a favorite local pastime of heading up Petersburg Creek or out to Sandy Beach for a picnic, fishing up the Stikine with his dad, and going to the movies on Main Street. 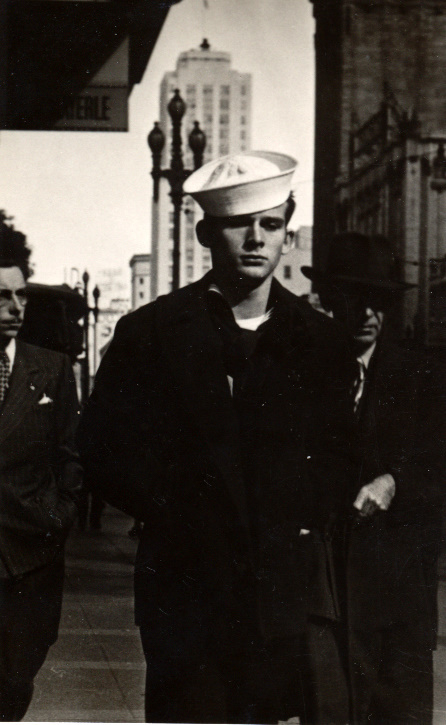 The interview continues into his 20’s when he voluntarily enlisted in the Navy to serve during WWII. He describes the scene of what it was like for a Seaman First Class stationed in Washington, San Francisco, and Pearl Harbor. He recounts a particularly harrowing tale of survival and courage during a typhoon, Japanese invasion, and missile attack ultimately sinking his vessel, the USS Hoel. Erling and the other survivors spent 48 hours drifitng on rafts. On October 26, adrift off Samar, he turned 21 years old. Erling was decorated with the Purple Heart for being wounded in the battle.